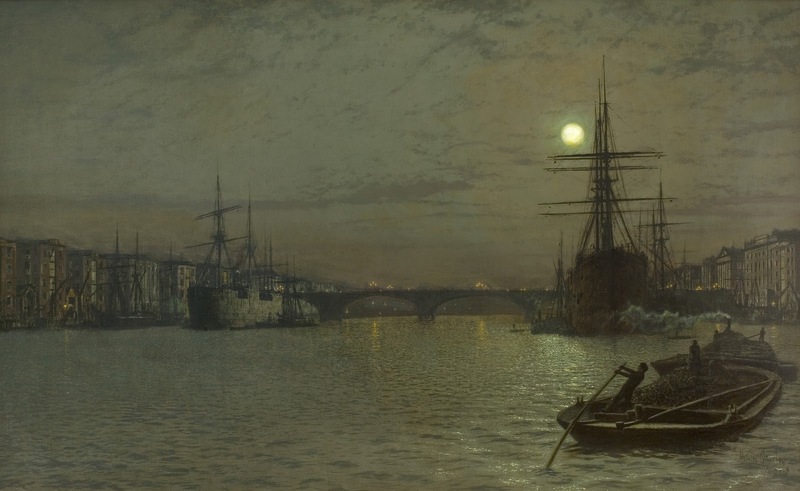 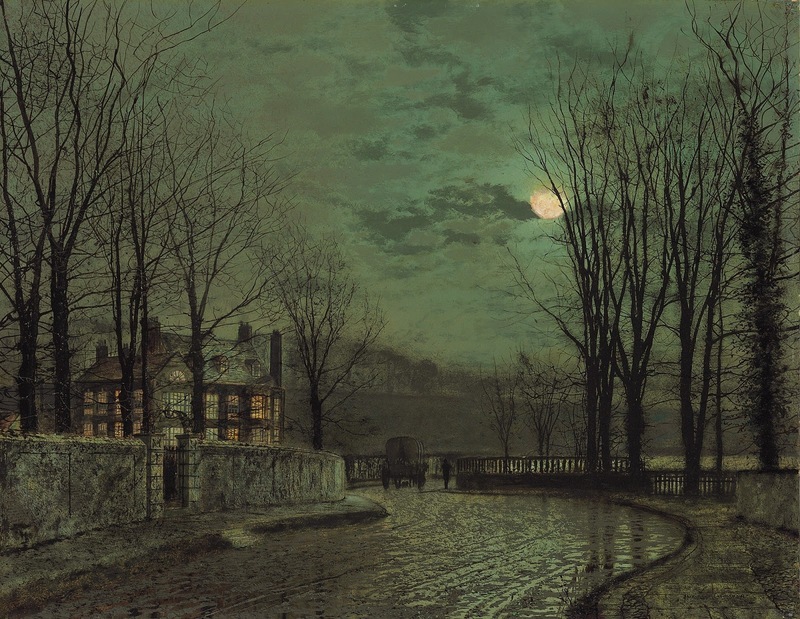 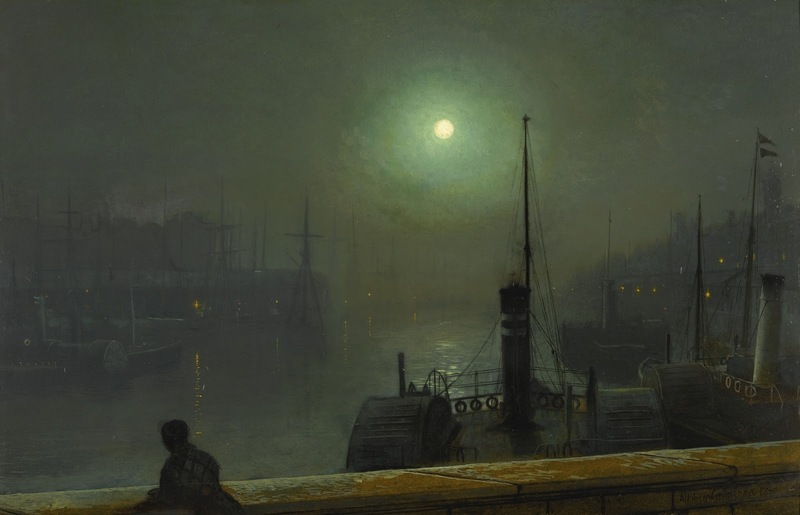 John Atkinson Grimshaw (1836-1893) was an British Victorian artist who became famous for his sombre views of the dockyards and his nocturnal scenes of urban lanes with leafless trees silhouetted against the moonlight sky. 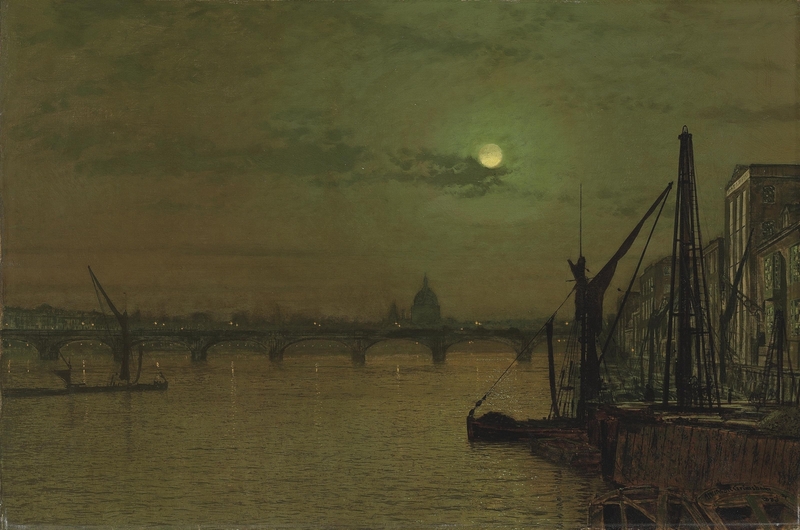 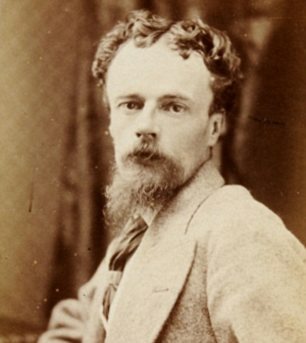 During his later life, he became a close friend of James McNeill Whistler who admired his work and admitted: "I considered myself the inventor of nocturnes until I saw Grimmy’s moonlight picture". 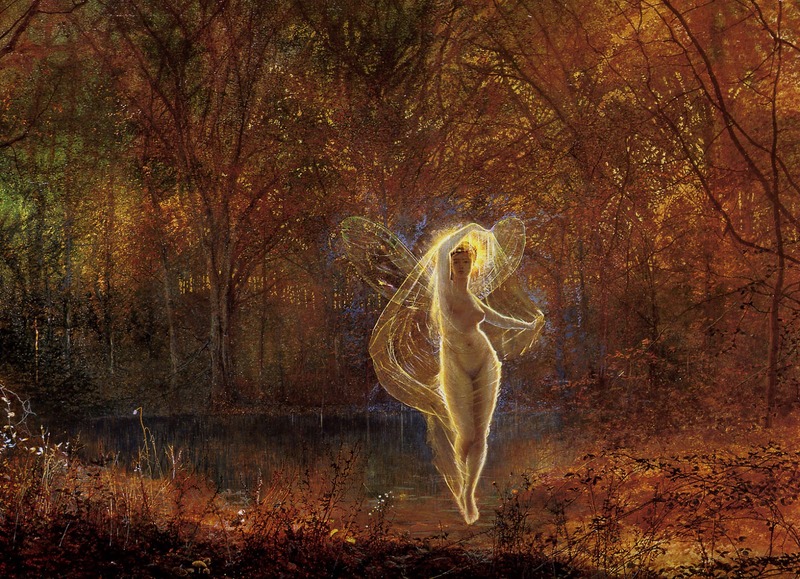 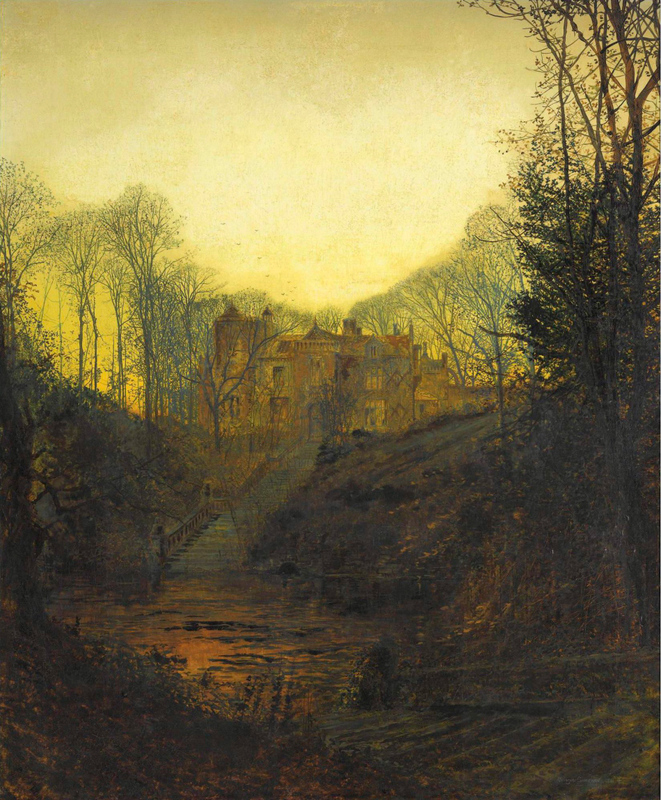 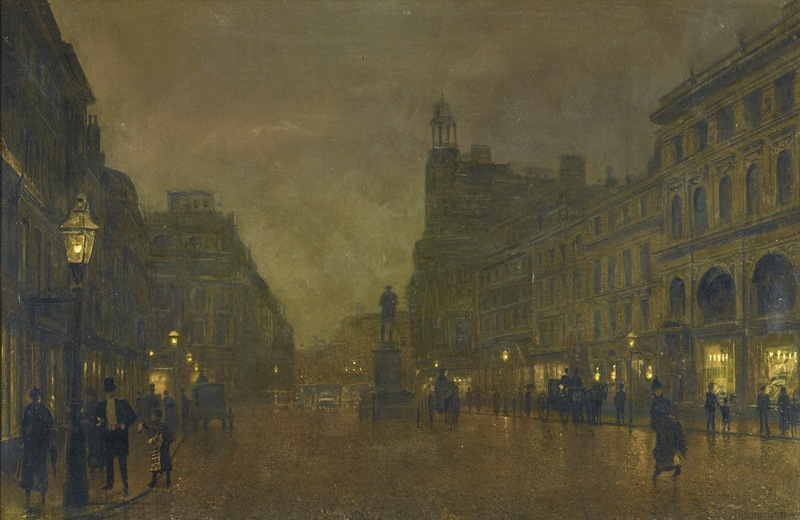 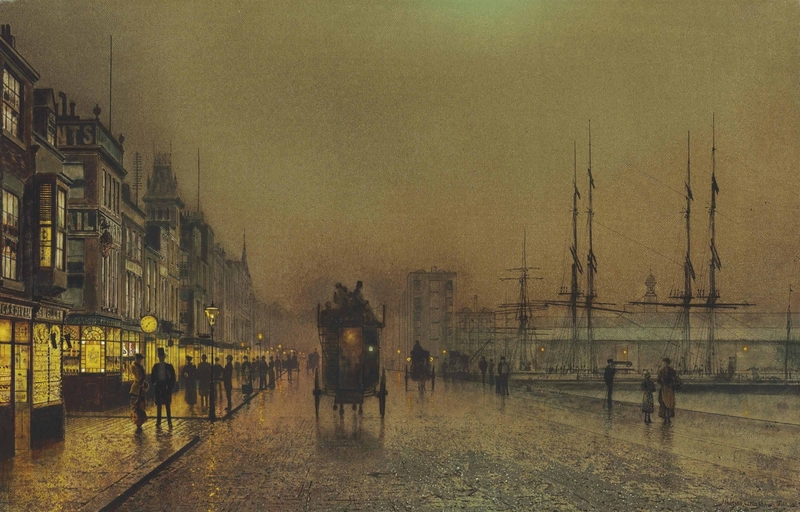 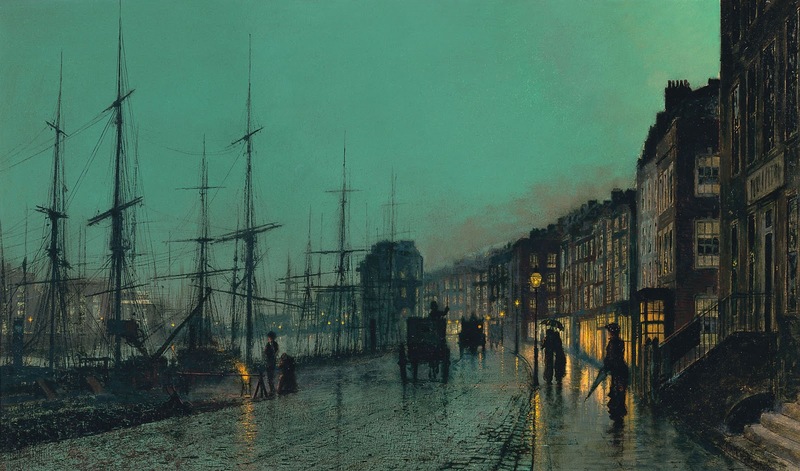 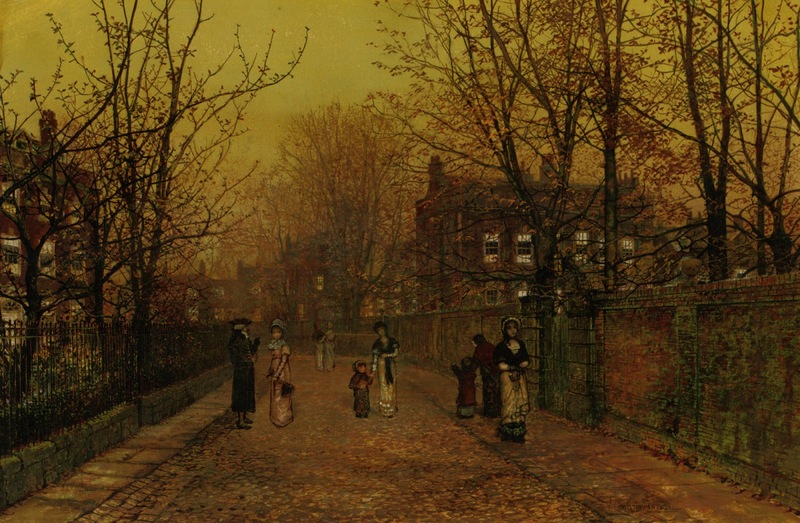 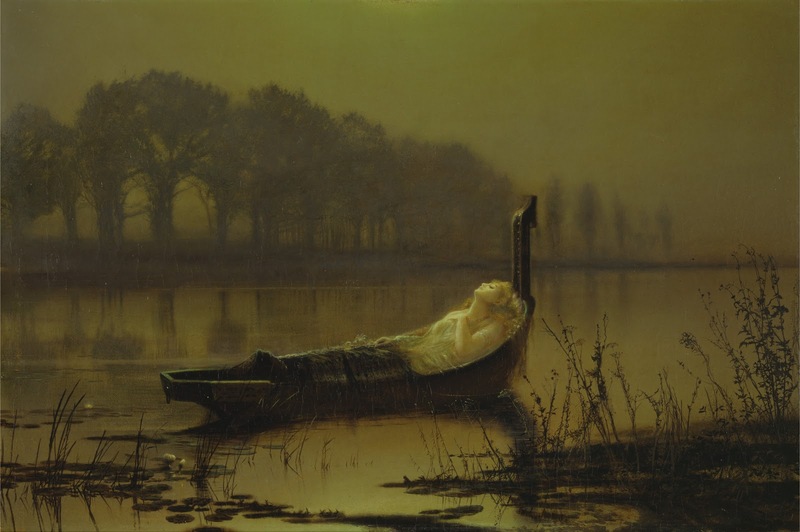 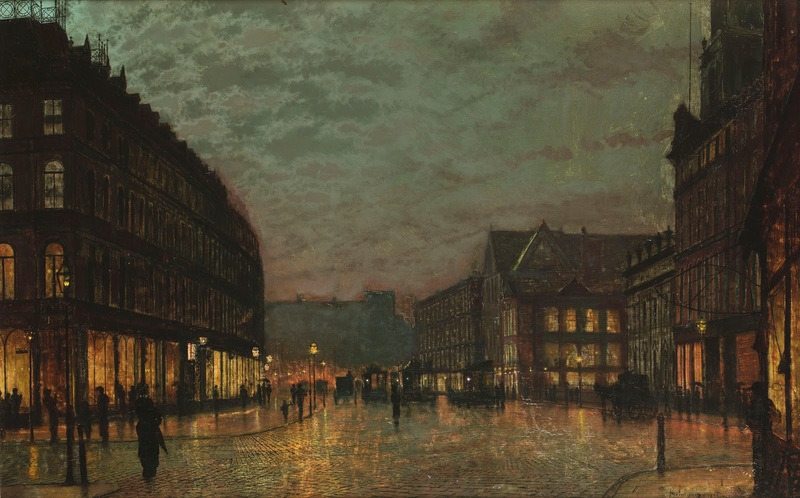 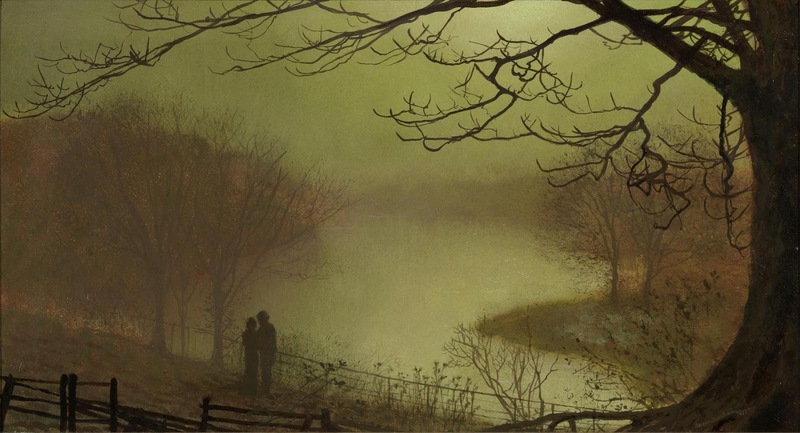 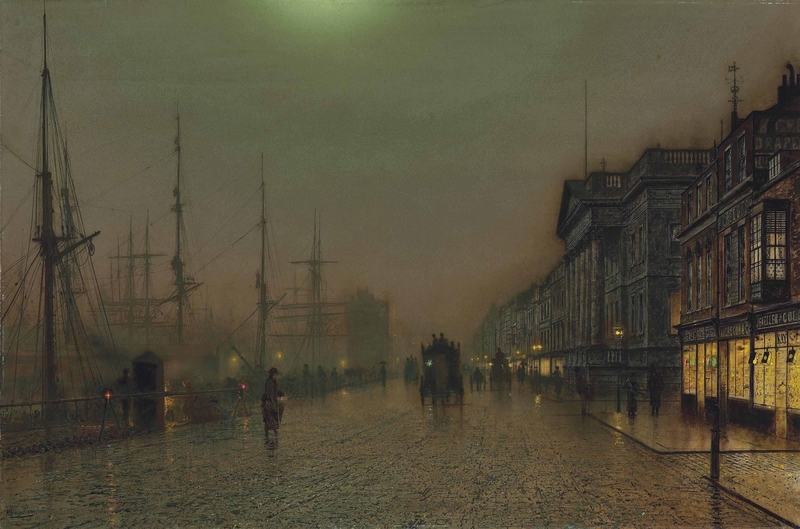 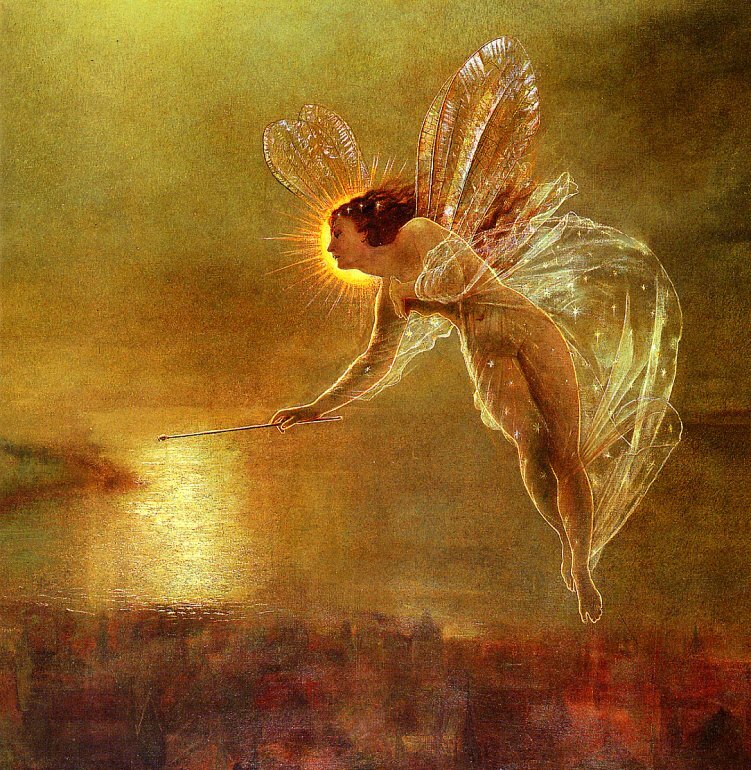 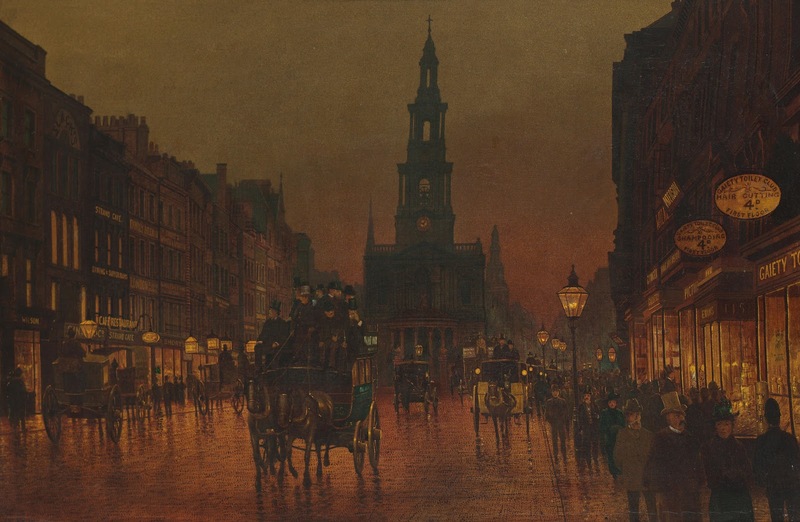 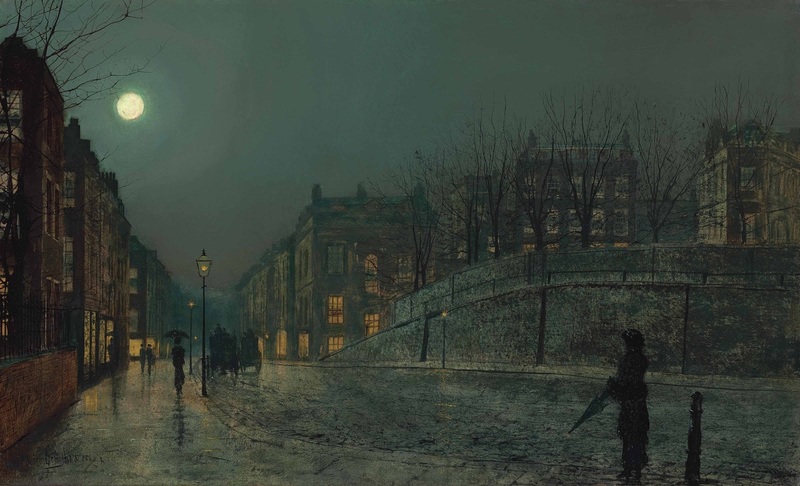 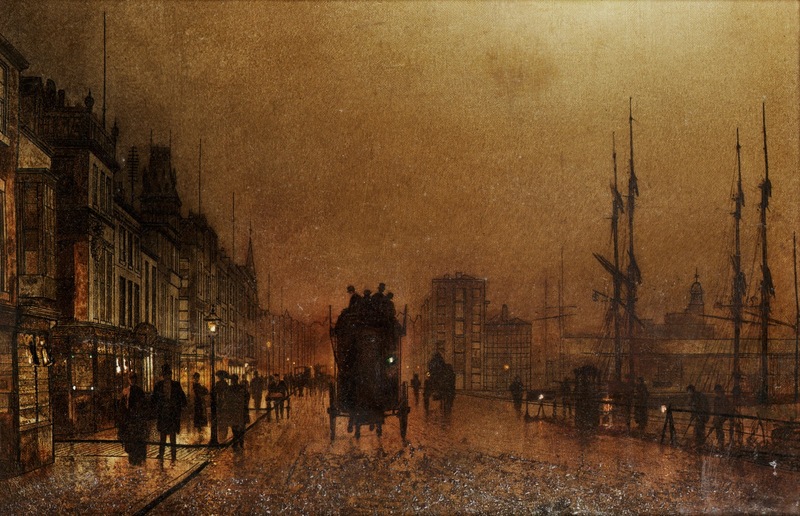 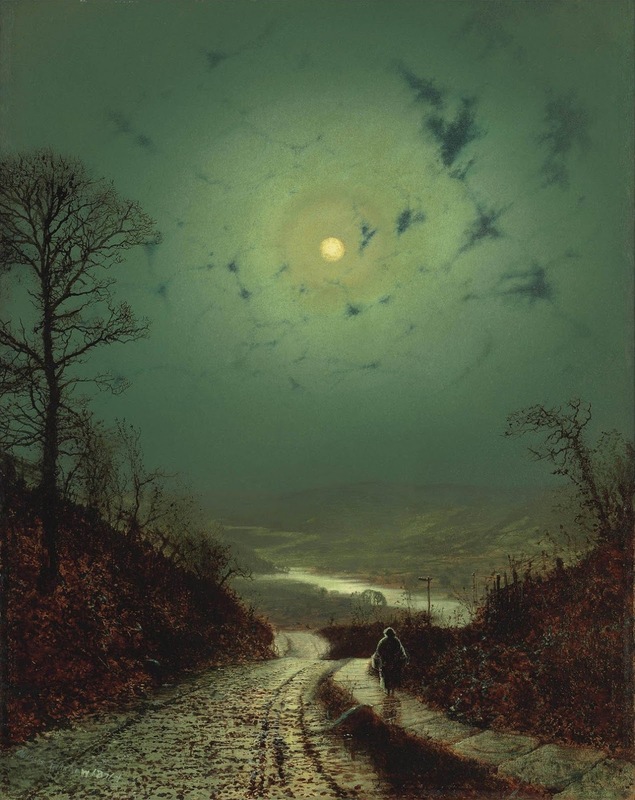 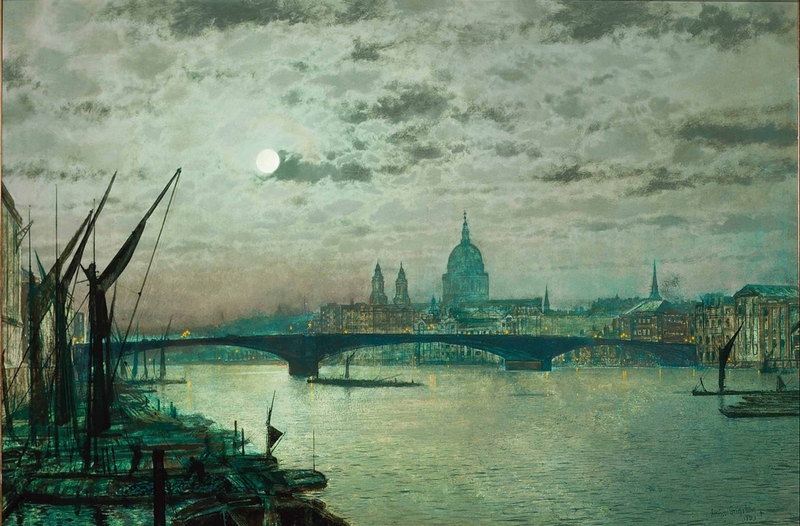 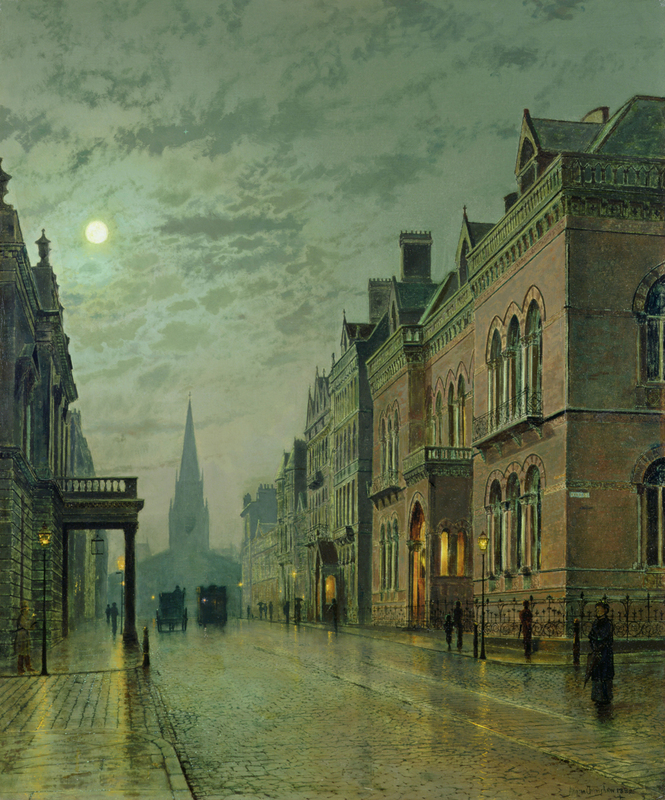 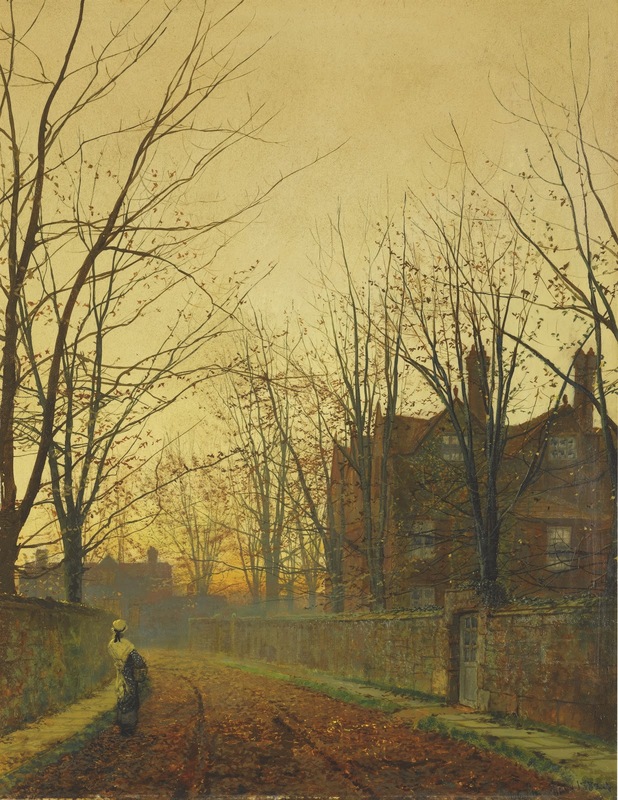 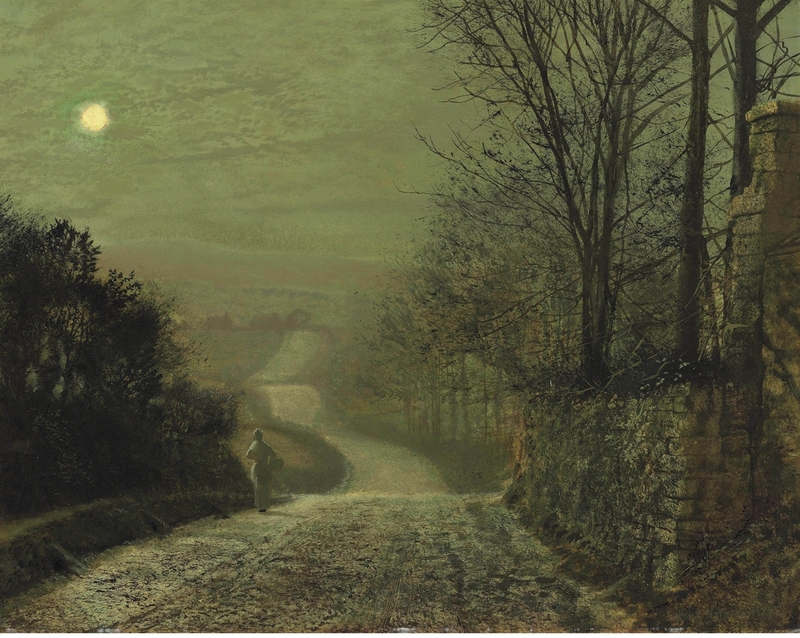 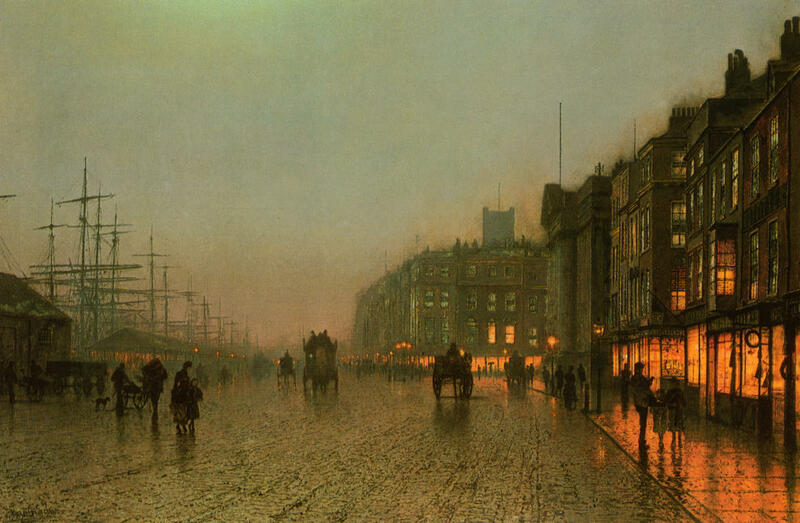 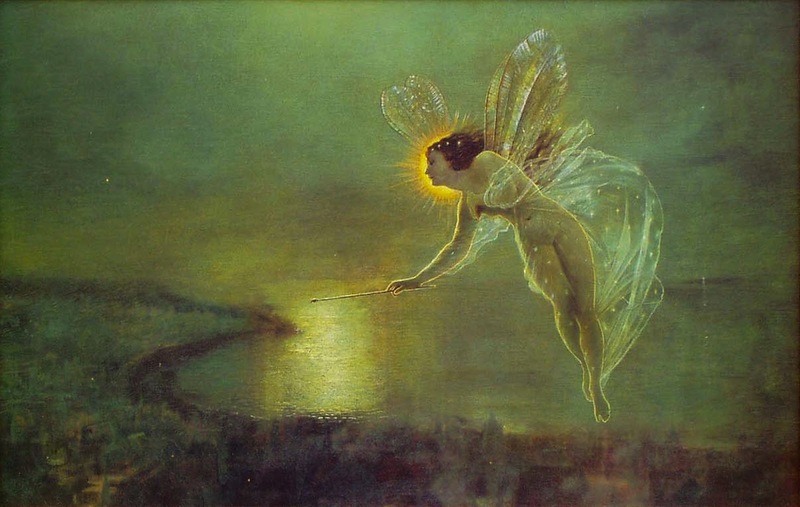 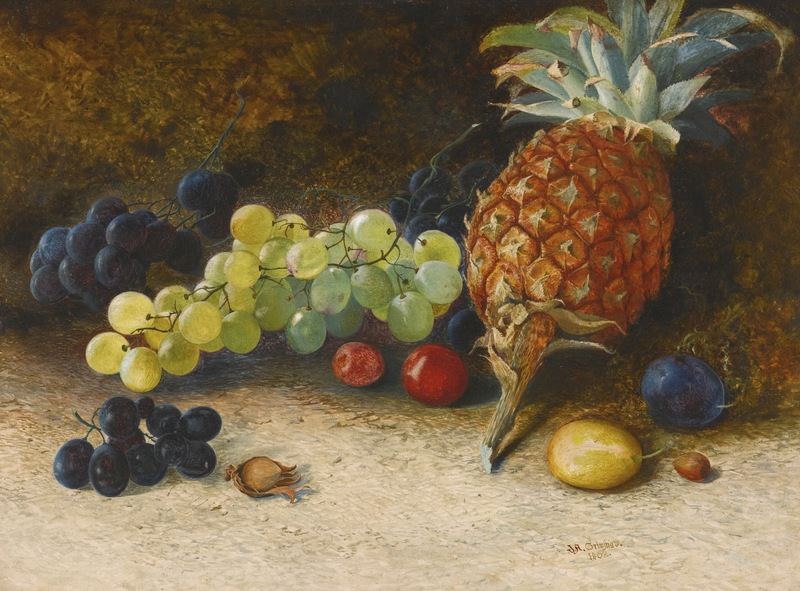 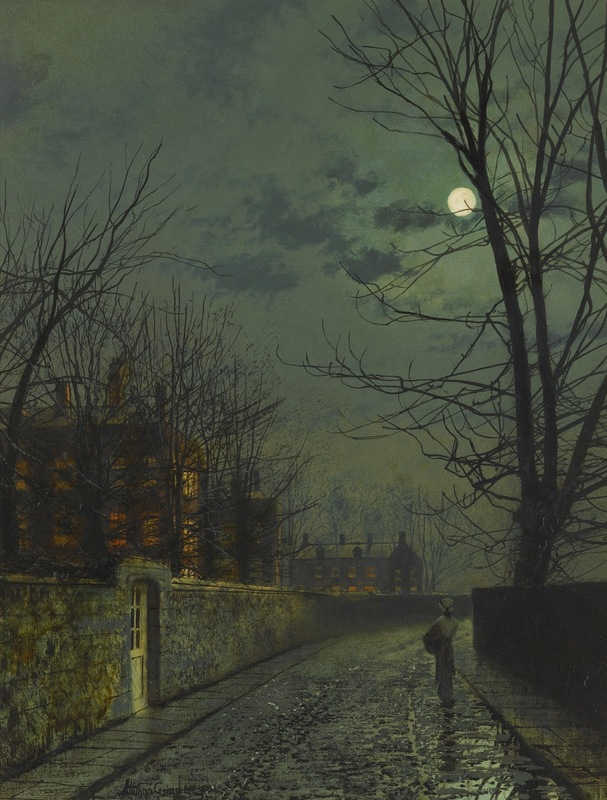 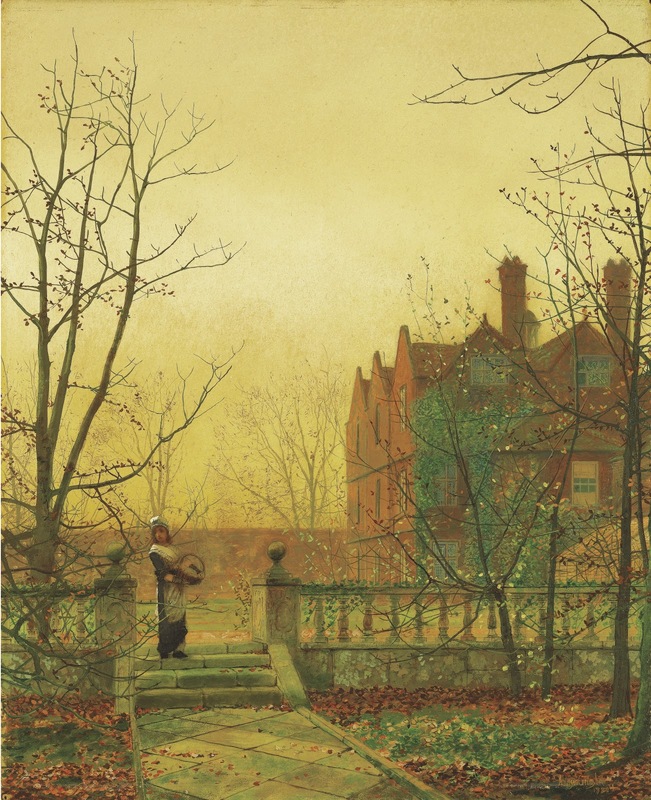 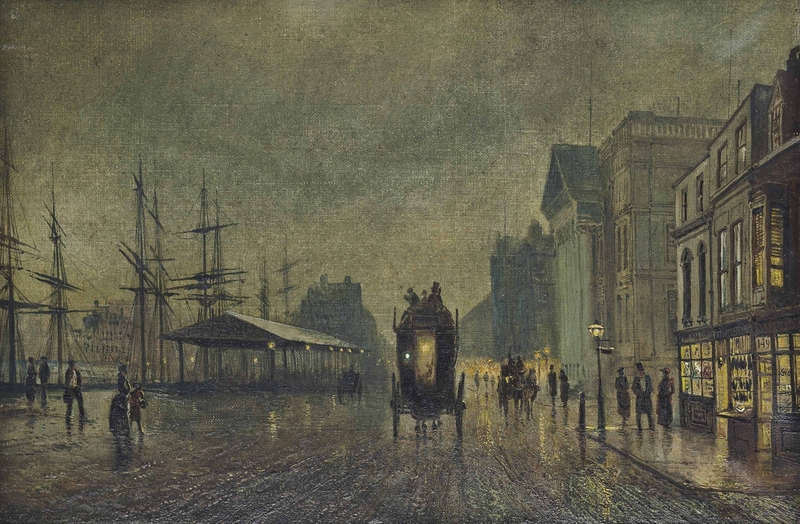 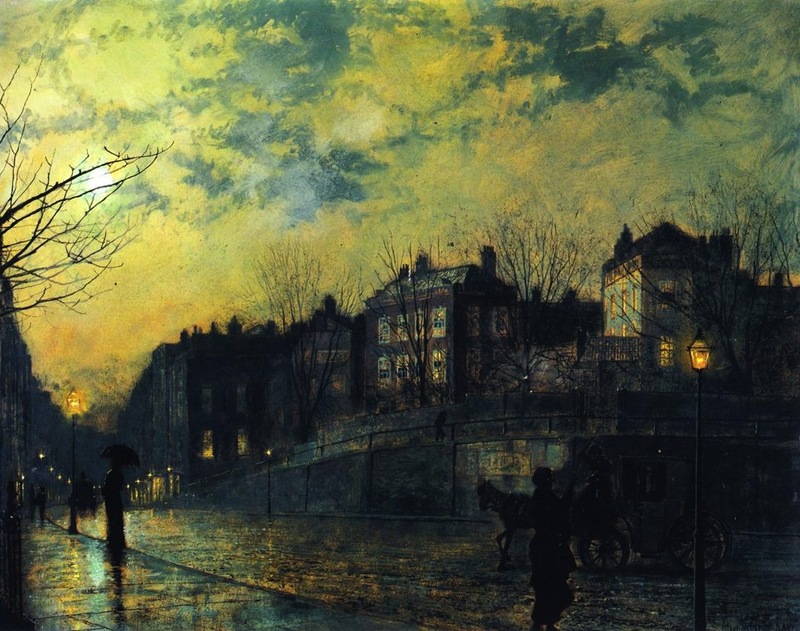 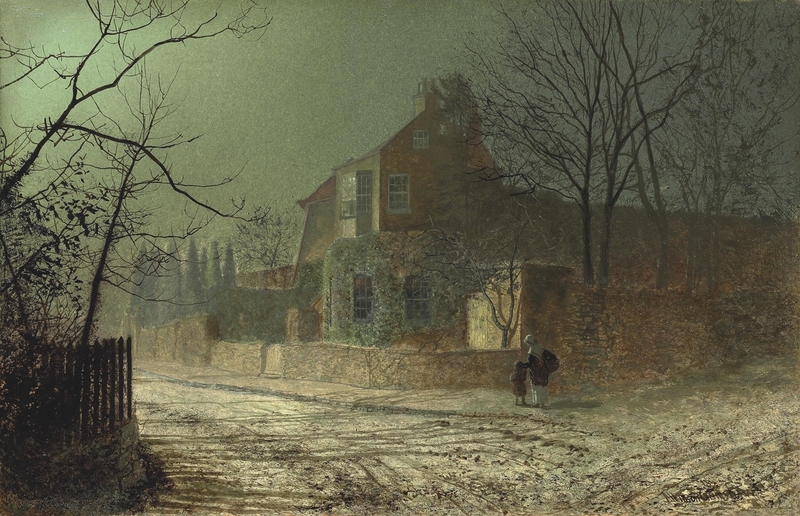 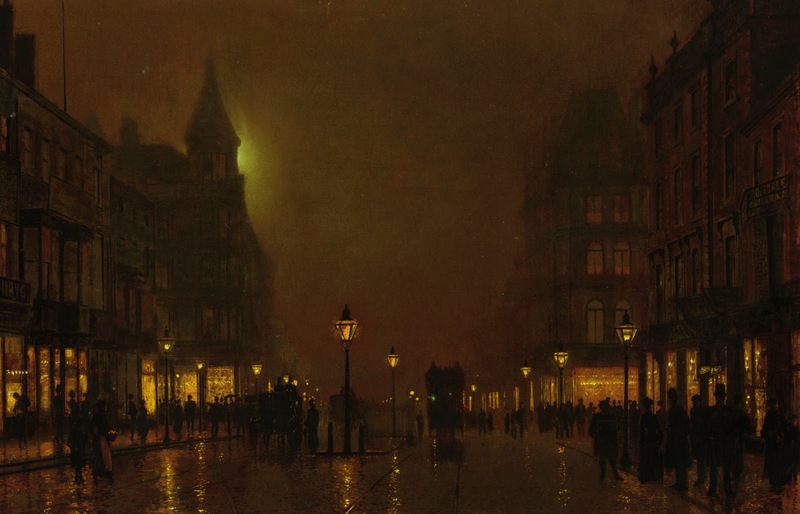 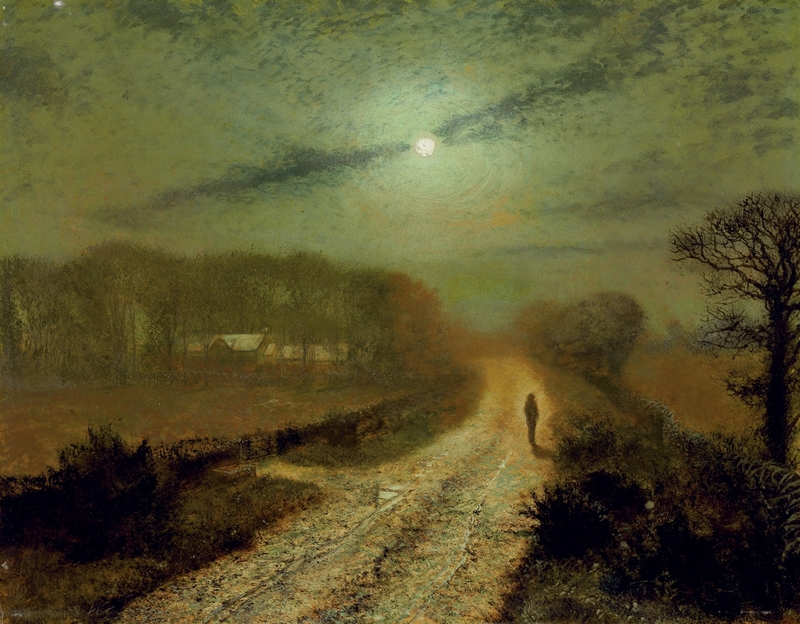 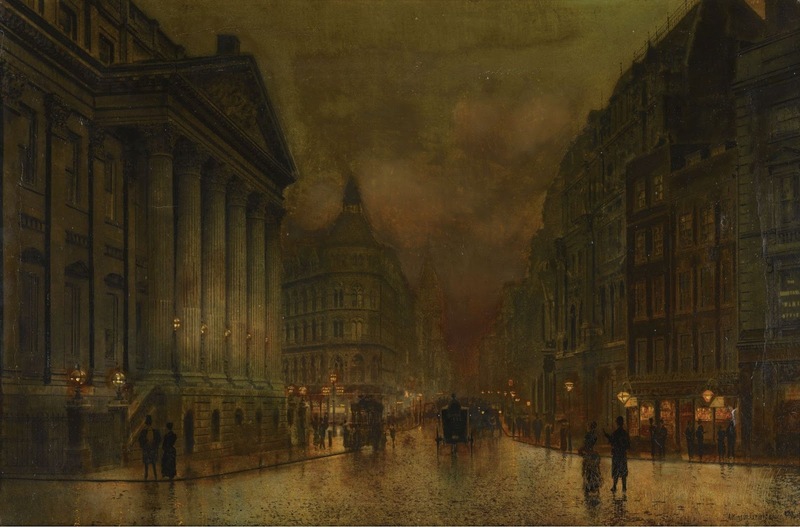 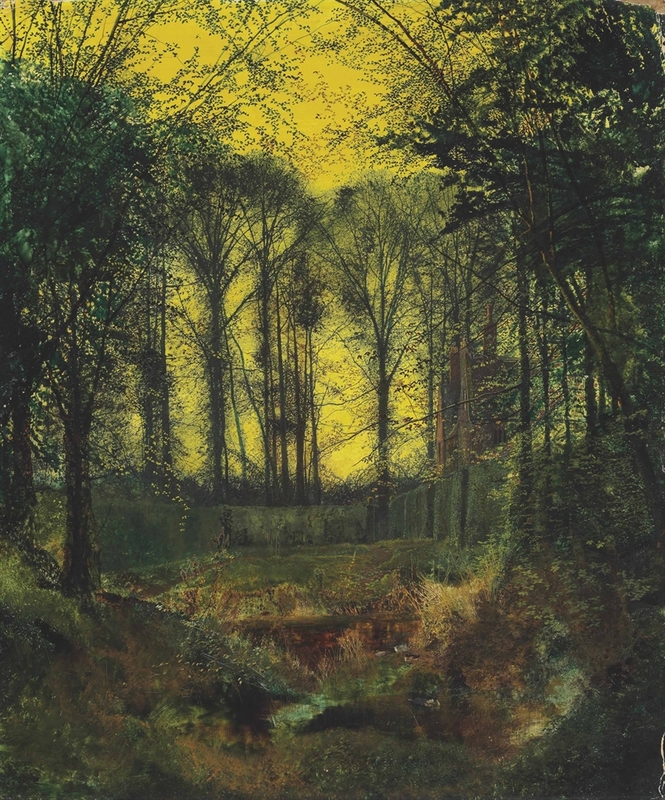 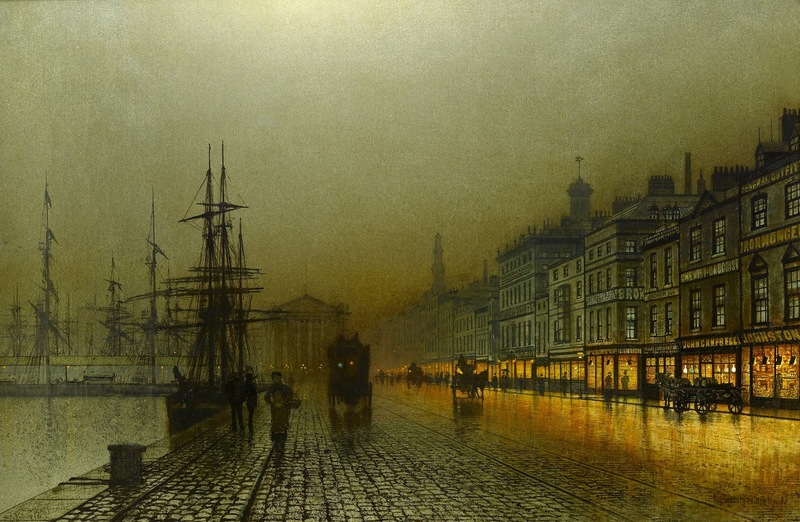 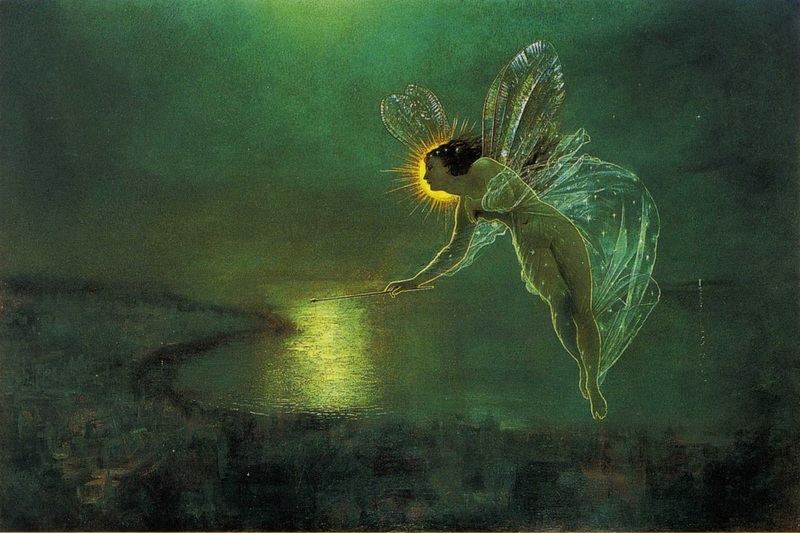 For biographical notes -in english and italian- and other works by Grimshaw see Atkinson Grimshaw | Victorian-era painter.